One is that I was born and raised Texan. (Gasp!) That fact has made traveling and living abroad so much more interesting. The second, is that I’m a baker. The latter may not seem so scandalous. However, in a professional kitchen, there is a general assumption that pastry chefs can’t cook. One very late night, or early morning, a fellow pastry cook and myself were verbally accosted by a current chef on Food Network before her rise to fame. Her rant? A pastry chef could never been a real chef because baking wasn’t real cooking. I was aghast. Perhaps it was her martini talking. The best chefs know how to do both. Thomas Keller anyone? Alas, baking continues to be misunderstood by more than just working cooks of the savory persuasion. There is fear of baking due its scientific nature. Ingredients must be exact. Stuff has to be measured. Physics and numbers? Heads are exploding everywhere. Oh boo! I say it’s simple. Child’s play, in fact. Let’s break it down. Baking is made of interchangeable parts; pieces that can be used in a number of ways. 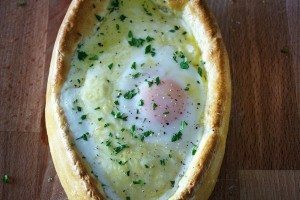 All you have to know are a few basic methods and recipes i.e. the building blocks. And then there are very few creations out of reach. Have I proven the disgruntled chef’s point? Not at all. Savory cooking is just as simple. So in an effort to illustrate, this week we are going to make a Pumpkin Ginger Caramel Cake, something nice for the nondescript holidays. This cake has 3 parts. Pumpkin sponge cake. Ginger creme mousseline. Salted caramel sauce. First let’s start with the creme mousseline. 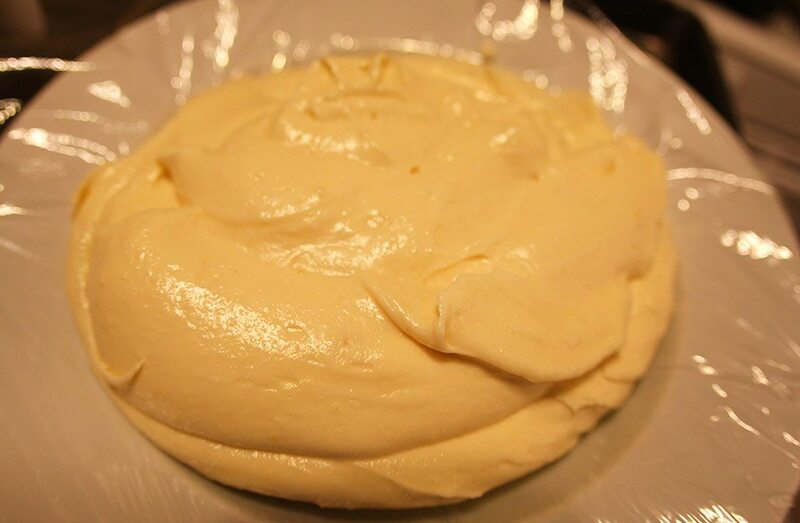 Creme mousseline is just a fancy term for a buttercream made from pastry cream. Aha! This is the second type of buttercream. (See my post on the first type here.) And no it’s not frosting. So, pastry cream is one of our building blocks. Depending on what is added, the end result can be very different. I’m going to infuse the pastry cream with fresh ginger for our first building block. This house is going to be delicious! Heat milk on medium heat. At this point, you can infuse the milk with a flavor: nuts, vanilla or ginger for my purposes. 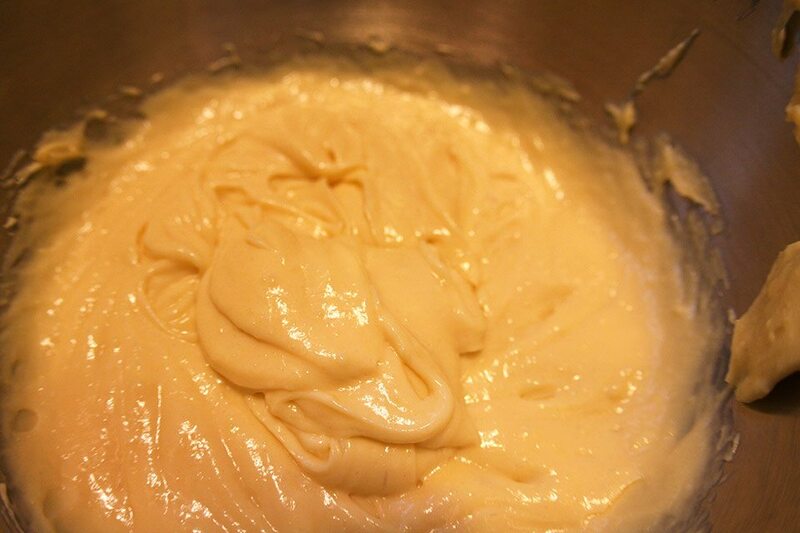 For basic pastry cream, add the vanilla bean and its scraped insides (or extract) to milk. If you only want vanilla, skip next step. Add ginger or other addition to milk. Once milk begins to simmer, turn heat off and let sit for 10m. Don’t let it sit longer, as ginger has, let’s call them ‘properties’, that will curdle the milk and turn it to pudding after 15m or so. Remove ginger and turn heat back on. While milk is heating, whisk together yolks, sugar and flour. Once milk starts to simmer, add half of it to the egg mix. 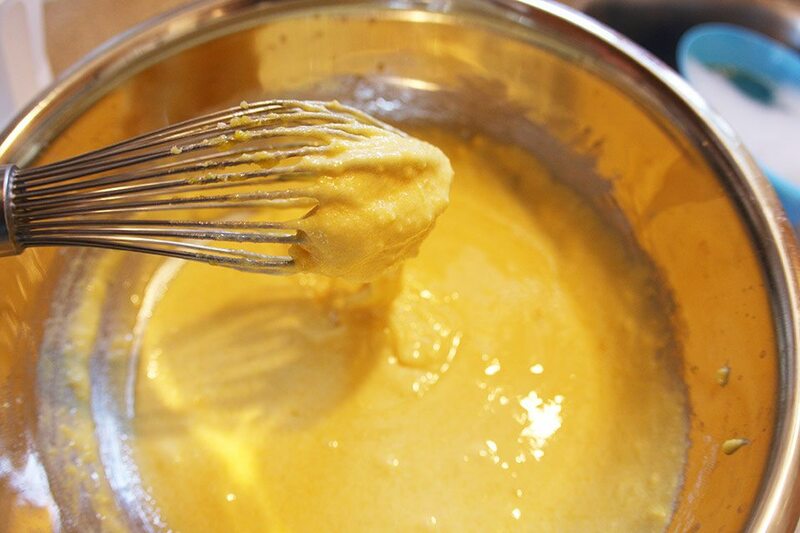 Whisk quickly to temper the egg mixture and to combine the thick egg mix with the milk. Add mix back to pot with rest of milk. 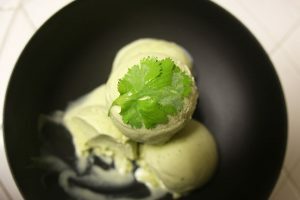 Whisk continuously cooking on medium heat. Mix will start to thicken. Transfer to bowl to cool. Cream should be silky and lump-free. 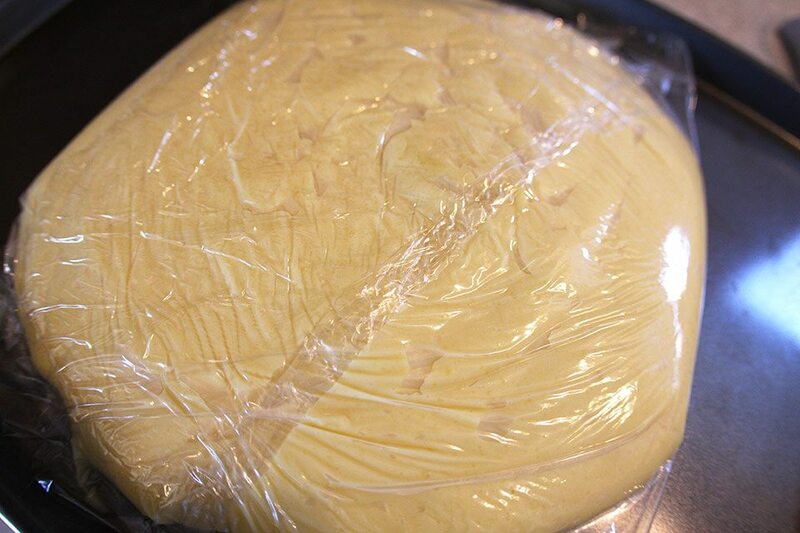 Place plastic wrap on service to prevent skin formation. Let cool. 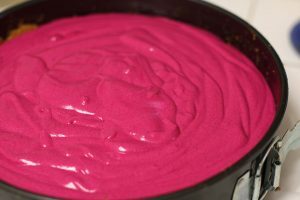 Add pastry cream into the bowl of a mixer fitted with a whisk attachment. Turn mixer to medium speed. Slowly add cold butter, a few tablespoons at a time until the pieces disappear into the cream. And yes, you can walk away and come back every few minutes to add more butter for ‘those’ who multitask. Once all butter is in, increase speed and whip until smooth and fluffy. At this point you could add nuts, melted chocolate, fruit puree, peanut butter, whatever your fancy. Store in fridge for a week, or in freezer up to 3 months. Wrap tightly in plastic wrap. For more buttercream tips, see this post.